Dr. Manika Khanna is a leading Gynecologist and pioneer in Assisted Reproduction in Human (I.V.F) in India with an illustrious medical career of more than 20 years. Currently she is successfully heading Gaudium IVF and Gynae Solutions – a foremost and fastest growing IVF Centre with an International presence. To pursue her passion to serve the society meaningfully, she did Advanced Training Program in Gynecological and Endoscopic surgery from University Hospital Schleswig-Holstein, Campus KEIL, Germany. She has also done Advance training in Assisted Reproduction in Human (I.V.F) from Melbourne IVF unit. 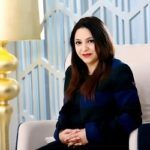 In 2009, she founded and set up Gaudium IVF with meagre capital from her own savings but with a vision and superlative fortitude to serve the childless couples to fulfil their dreams and today Gaudium is known the name in Infertility treatments and India’s first and only Radiation-free IVF centre. Gaudium Infertility Centre was set up with a mission to provide state-of-the-art infertility treatments to child-less couples of India and around the world. Gaudium IVF has treated many patients who had lost their hopes in life. The institution serves the mankind in the right spirit and true service. 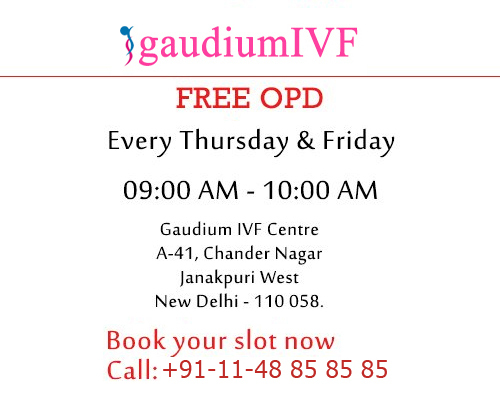 Gaudium IVF was the first clinic in India who has performed a record number of milestone cases in a short span of time including a case which had 15 failed IVF cycles (the highest ever reported) from different parts of the world and then successfully delivered a healthy baby by the efforts of Dr. Manika Khanna. Patients around the world from more than 30 countries have been benefited with the expertise of Dr. Manika Who is hailed as India’s most experienced infertility and IVF specialist with more than 10,000 successful IVF treatments to her credit. Gaudium now has centers across India and also international canters in 4 countries. Gaudium is the 1st Indian chain to have international centre’s making the country proud globally. In 2014 She launched Gaudium Foundation-a charitable institution with the objective of spreading health awareness as well as ensuring easy access to essential medical facilities to the underprivileged children and women living in slums, minority communities and other remote areas. She has been praised and recognized by the former President of India Smt. Pratibha Patil for her outstanding work in the field of infertility. She was awarded as Woman Achiever in the year 2015 on international woman’s day by the honourable Governor Of Goa Smt. Mridula Sinha. She was Awarded the prestigious Delhi Ratan 2008 for exemplary achievements in the treatment of human infertility by a body of 12 ex-Lt. Governors of India. She was awarded the CHIKITSA RATAN AWARD by the INDIAN MEDICAL ASSOCIATION on 17/07/16. She was awarded by Delhi Medical Association on occasion of Woman’s day in 2016 as “women achiever of the year “. She was awarded by URS ASIA ONE as WORLDS GREATEST LEADERS in HEALTH CARE in 2016. Awarded as “Asia’s Greatest Brands 2016 “held in Singapore BY URS AsiaOne, CHOSEN BY CONSUMERS & INDUSTRY. Awarded best IVF hospital in India by PRAXIS MEDIA in the year 2016. Gaudium has been recognized as the Best IVF Institute in India by IVF India Magazine 2013. Awarded “Best IVF & Surrogacy Hospital 2015 -2016” by National Healthcare achievers award 2015 on 31st March 2015. Invited as international Faculty at various meetings across the world. She was Awarded “Rising Stars-Obstetrics & Gynecology and “Best Speciality centre-IVF” by TOI in 2017. She received an Award for “Most Admirable & Trusted Brand” IVF category in London (2018) on behalf of Gaudium IVF Centre. In addition to the above recently she was invited to be a part of a panel of the forum focused on Women Health Care in Vietnam, She was the only Indian Doctor.